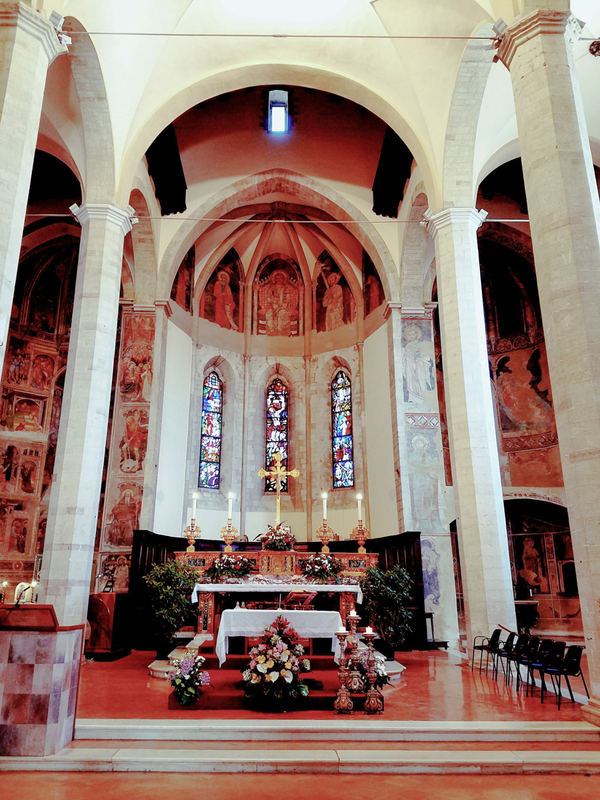 Because of our experience yesterday of getting lost both of us were apprehensive about proceeding into the mountains and into the forest without any assurance that we would stay on the right path so we made a decision that we would hop the bus to Gubbio and hope we could find someone with whom we could speak so we could get back on course. 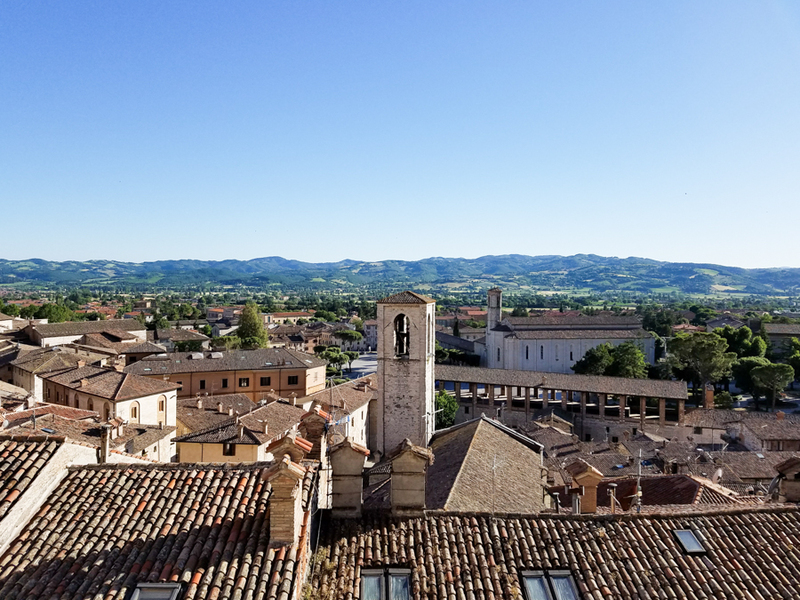 As we were leaving the Reiti Valley for Gubbio I remembered that Francis was very fond of these people because they lead simple and humble lives. 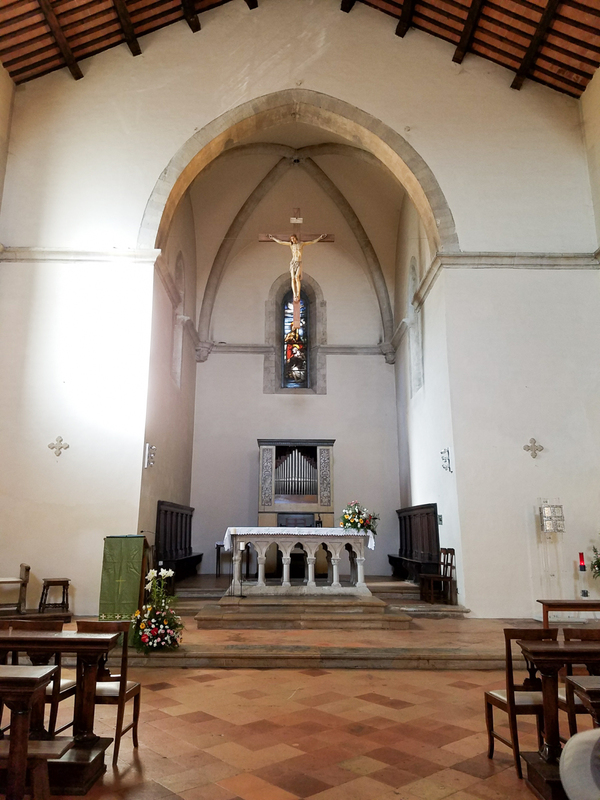 He would often go to rest and spend time in the valley where he would like to pray because it was very isolated and plain. 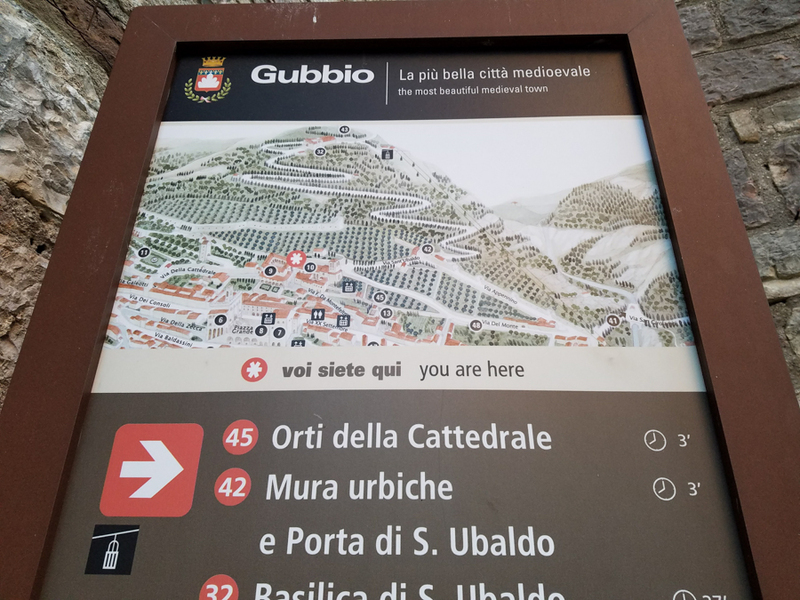 We arrived in Gubbio in the early afternoon and began our walk. 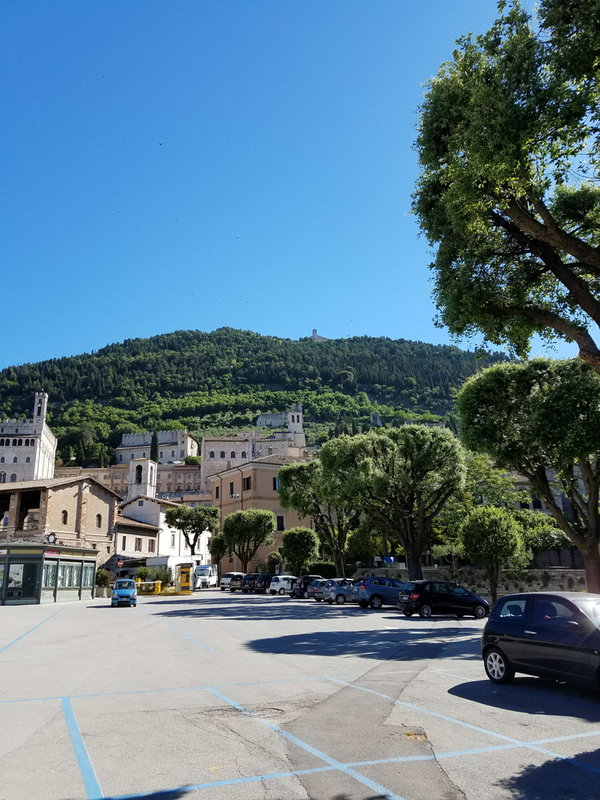 Gubbio is a beautiful medieval city which is perched on the side of a mountain so the walk even in the city can be somewhat demanding. 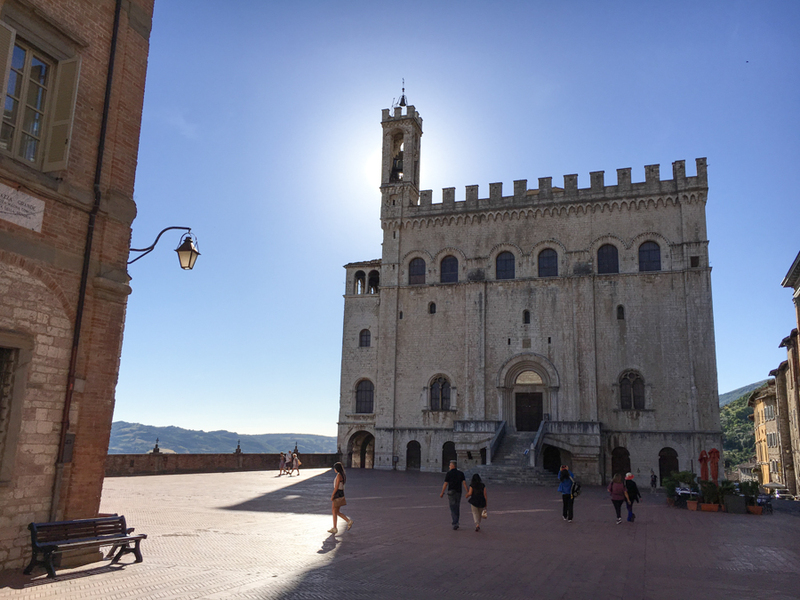 Medieval city hall of Gubbio. 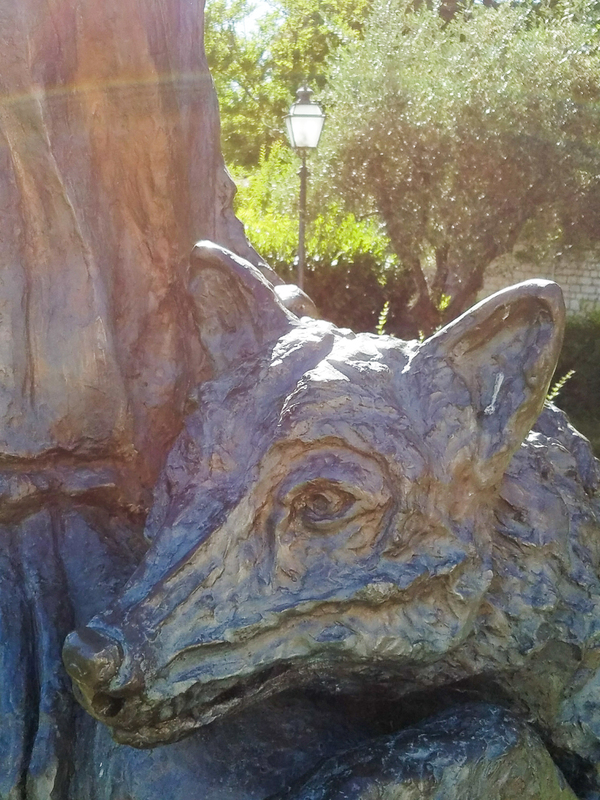 There is a beautiful story of how Francis tamed the wolf that was terrorizing the people of Gubbio. 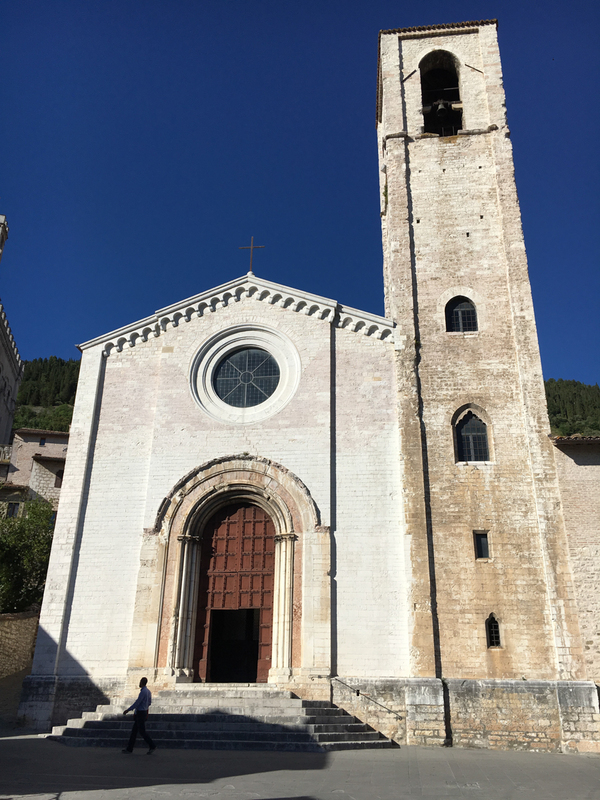 Facade of Saint John the Baptist in Gubbio. 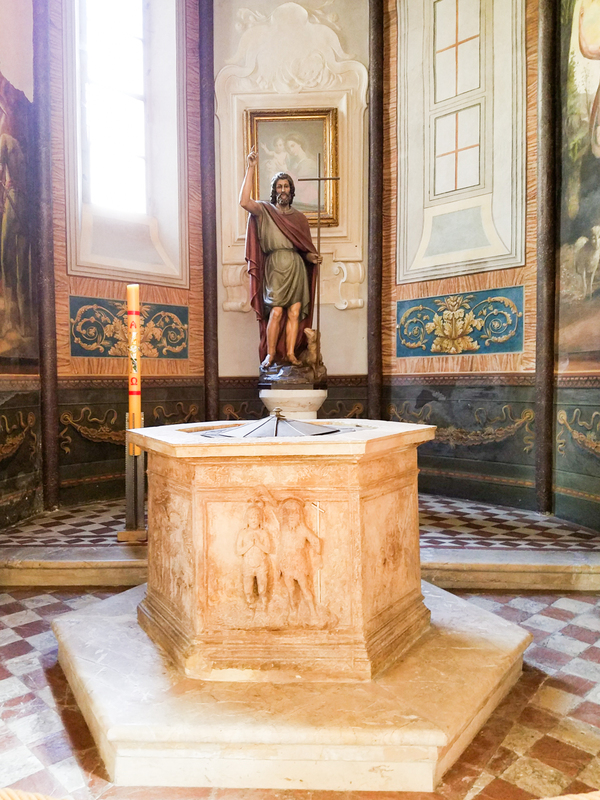 The baptistery of Saint John. 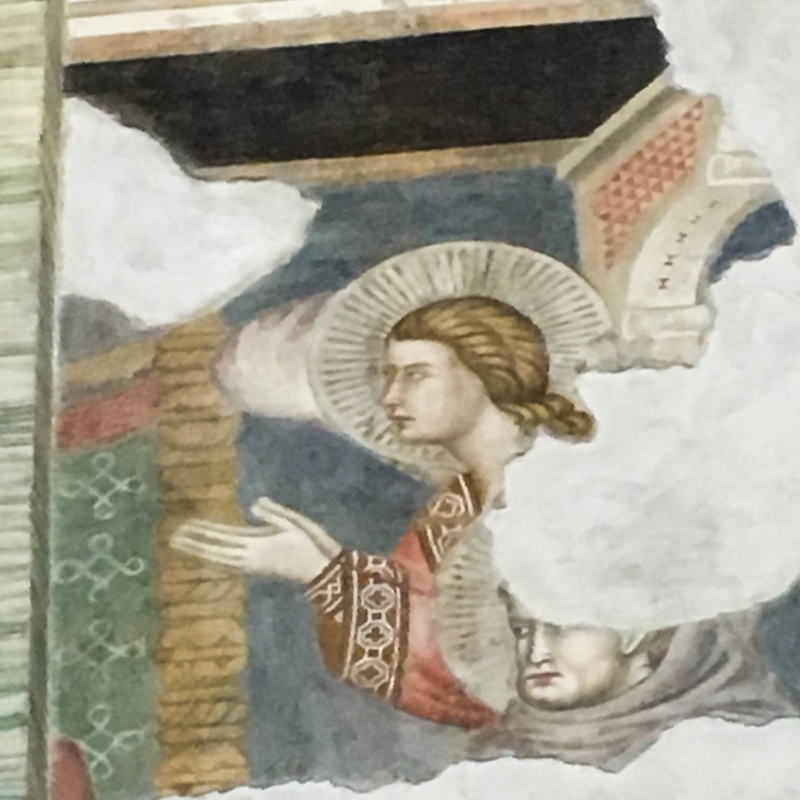 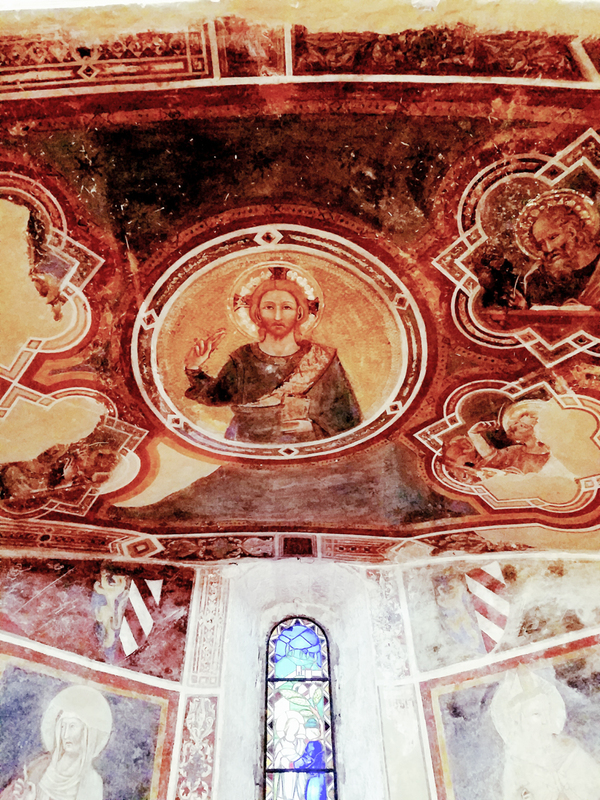 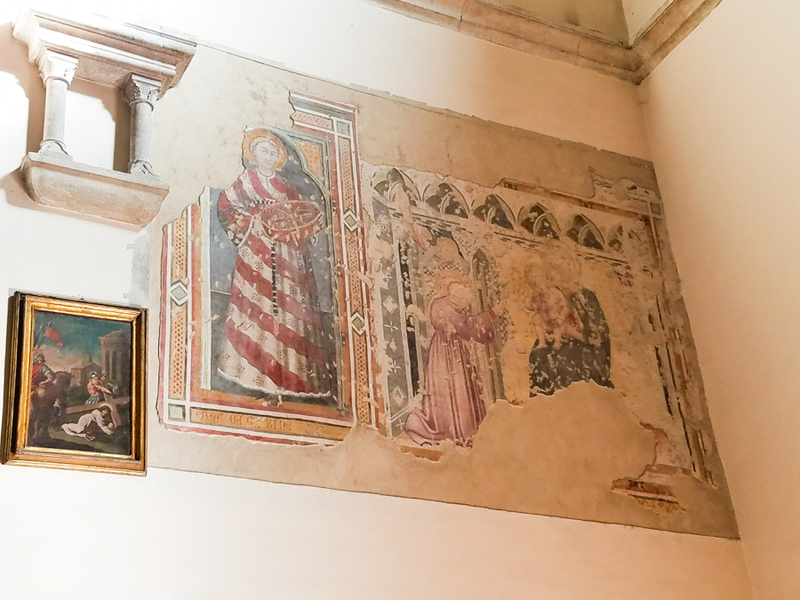 Remnant of medieval frescoes of Saint John. 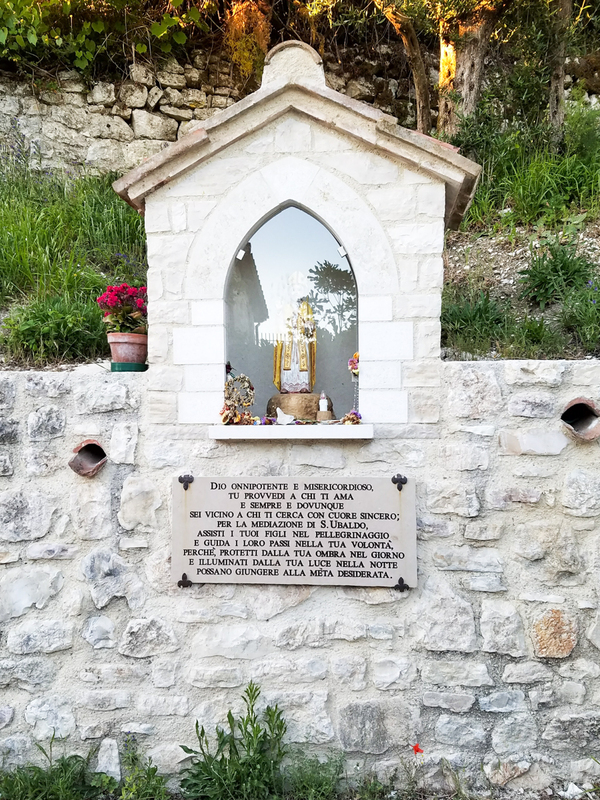 We were determined to accept the challenge of walking to the very top of the mountain where Saint Ubaldo had his hermitage. 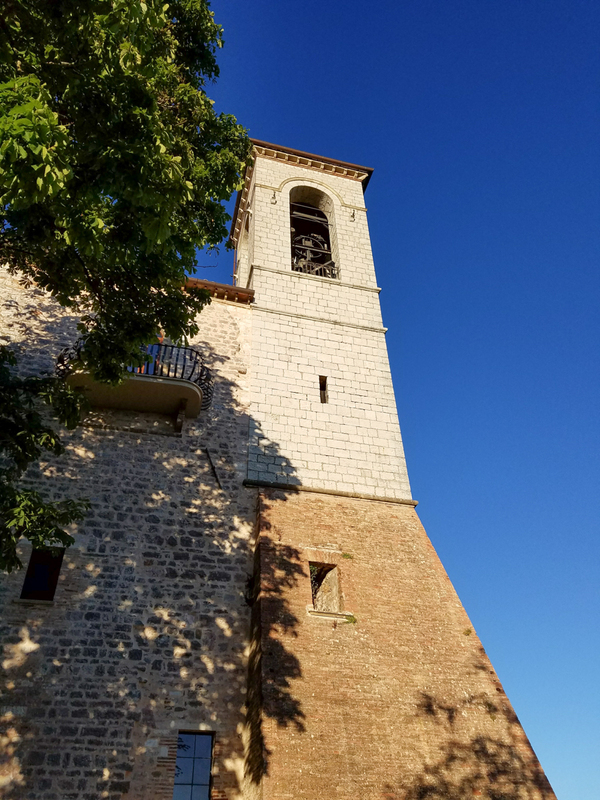 To give you an idea of the climb I have posted two pictures, one from the city looking up to the top of the mountain and the tower that looks like a speck from there, and a picture of the tower. 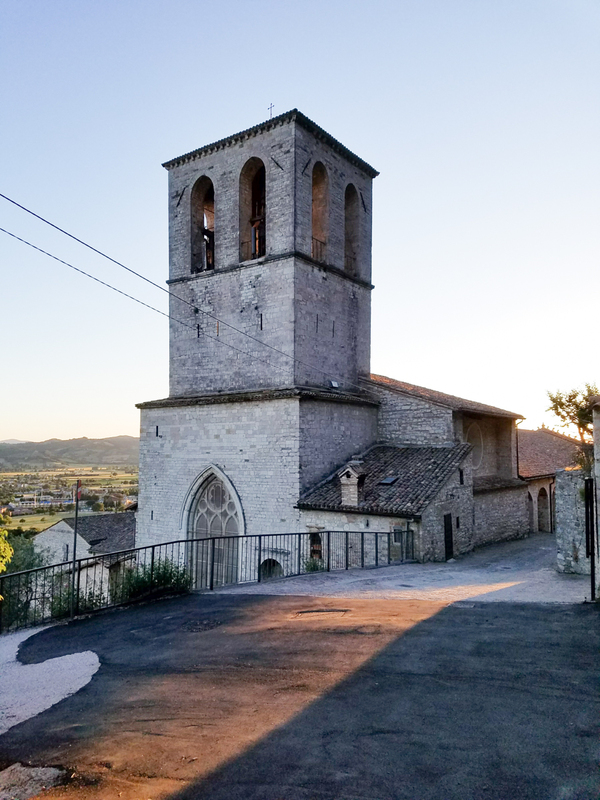 It took some time for the climb so we finished at about 8. 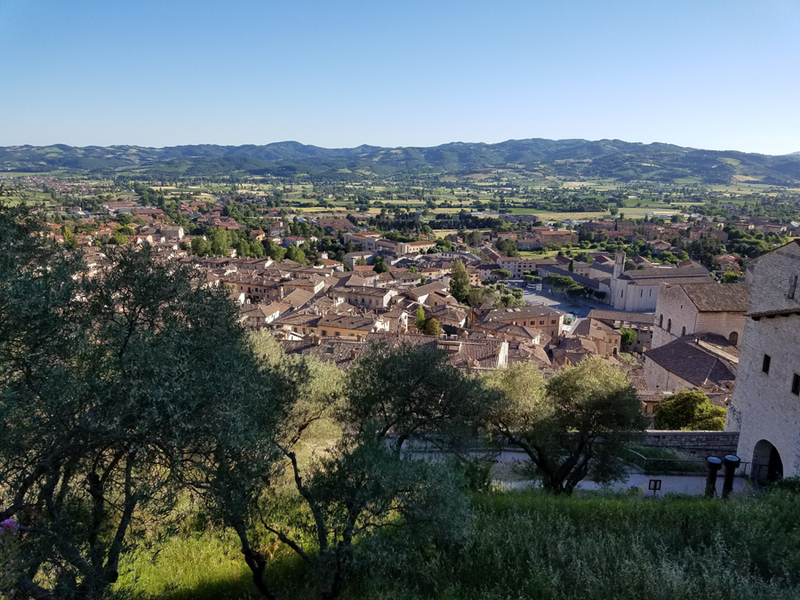 After dinner we felt sure we would get the information we needed in the morning to continue our camino. 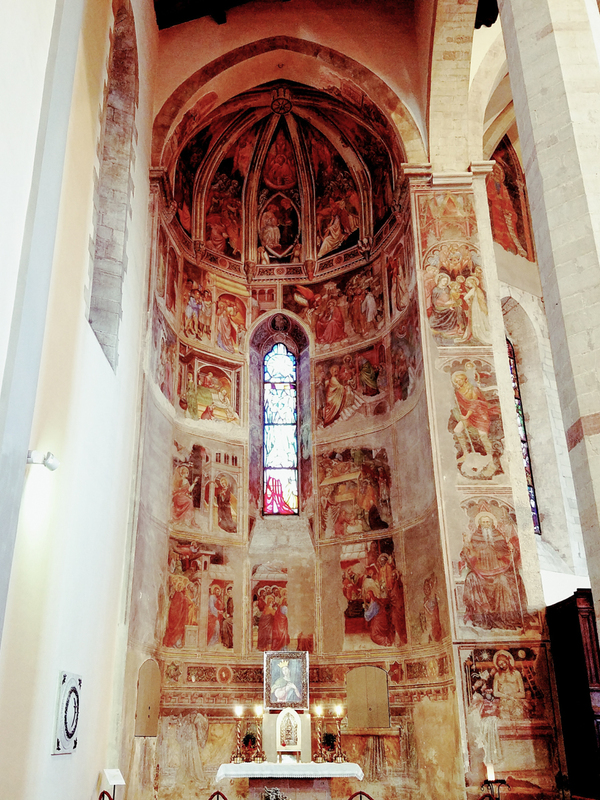 We spent the next morning in Gubbio and explored St Francis Church. 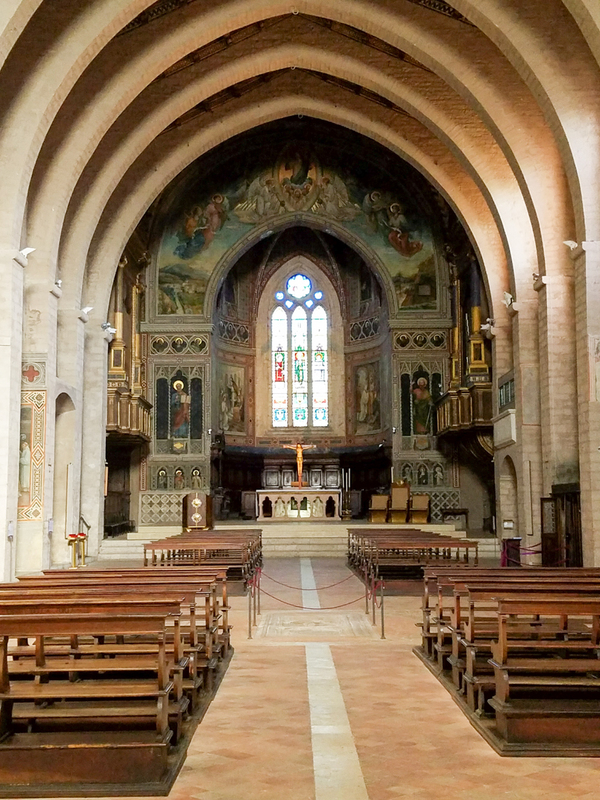 This is the first church built after the saint’s death. 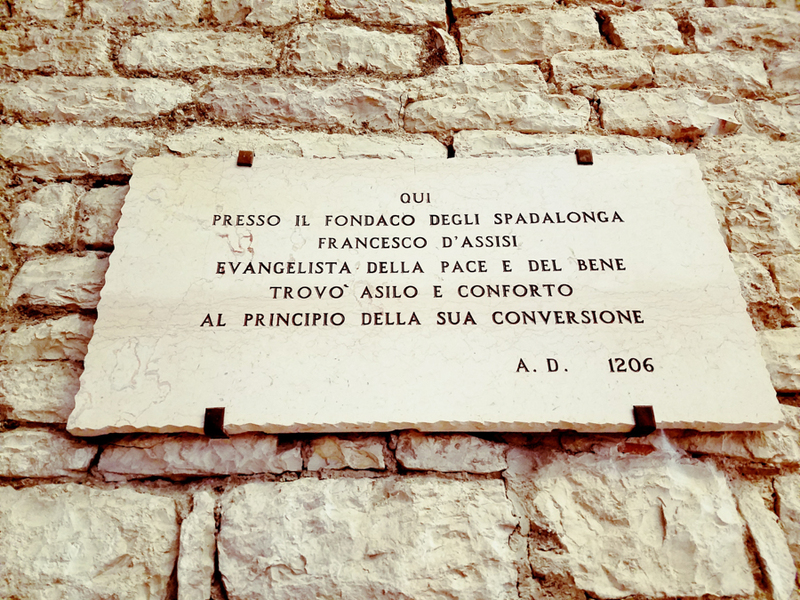 The Spadalongo offered him asylum and refuge in the beginning of his ministry. 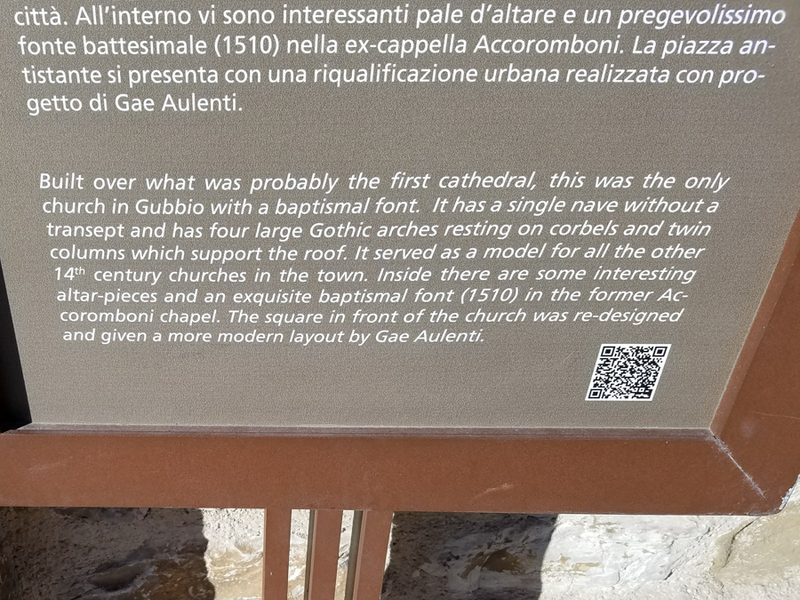 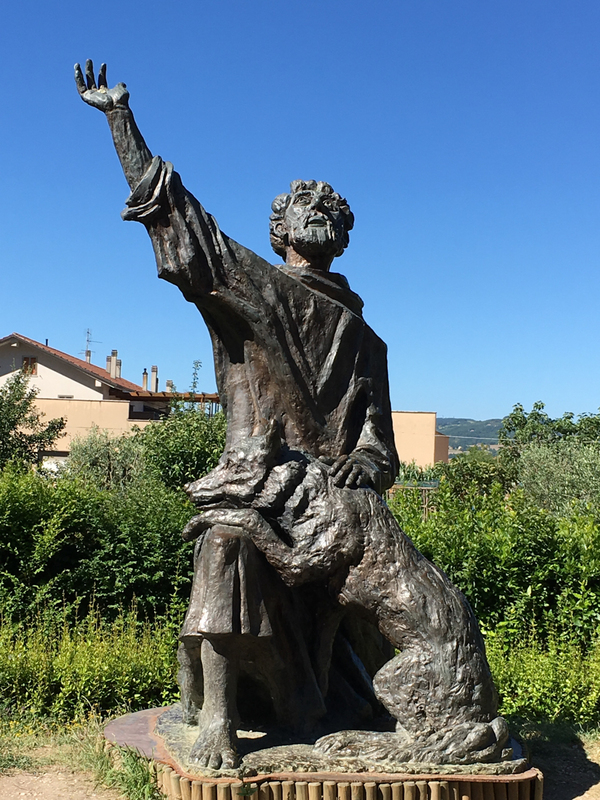 This entry was posted in Christianity, Travel and tagged Gubbio, Italy, Saint Francis, Saint Ubaldo, wolf on June 13, 2017 by frjfkauffmann.